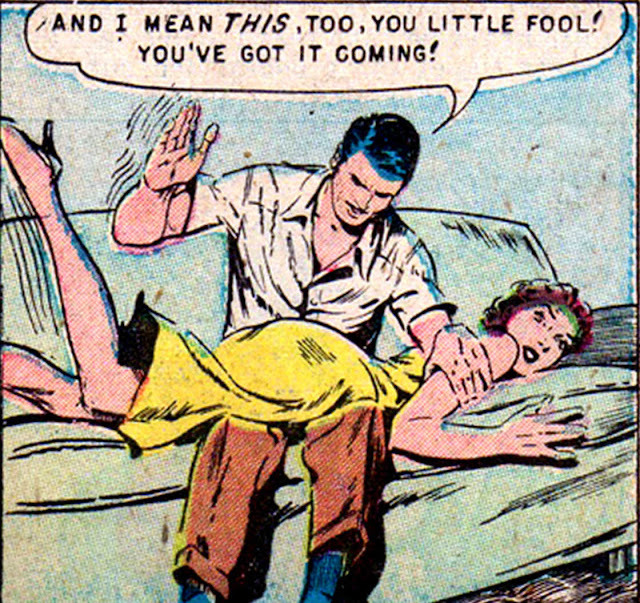 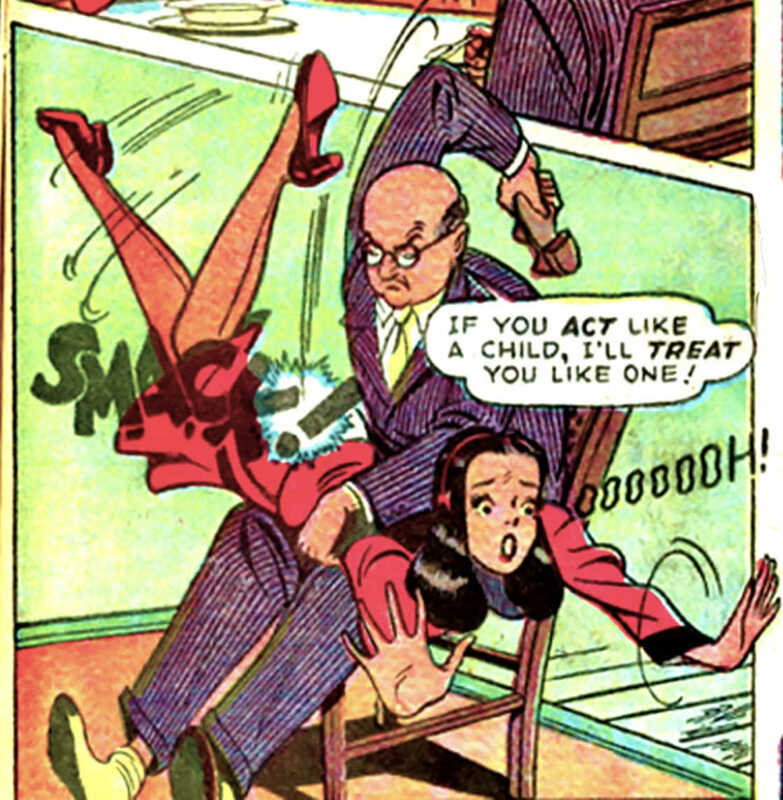 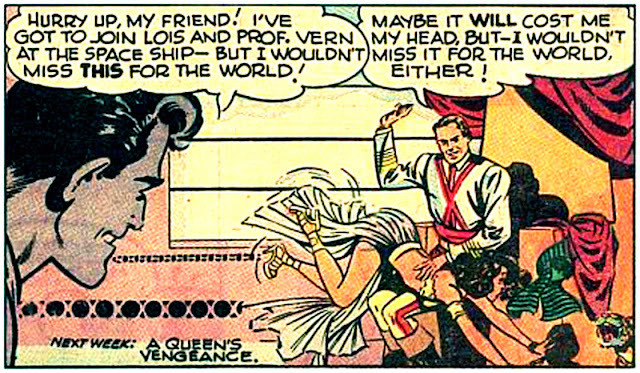 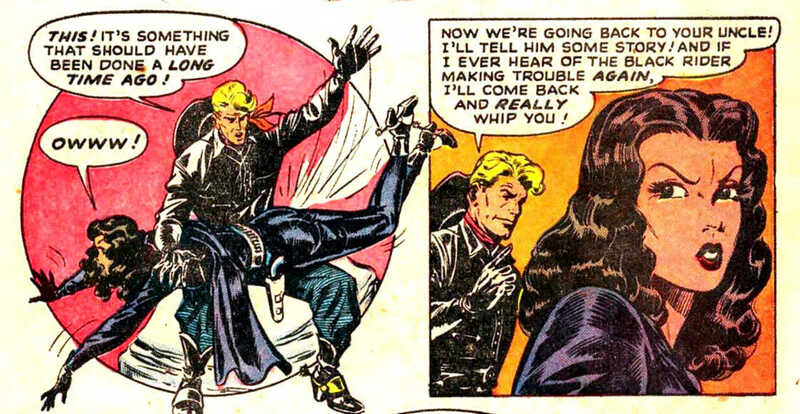 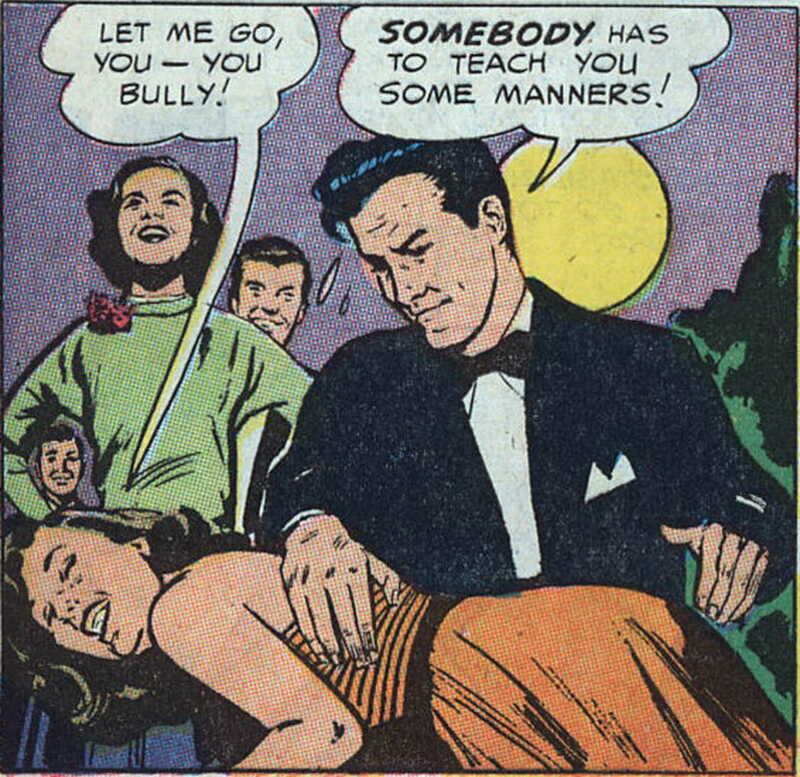 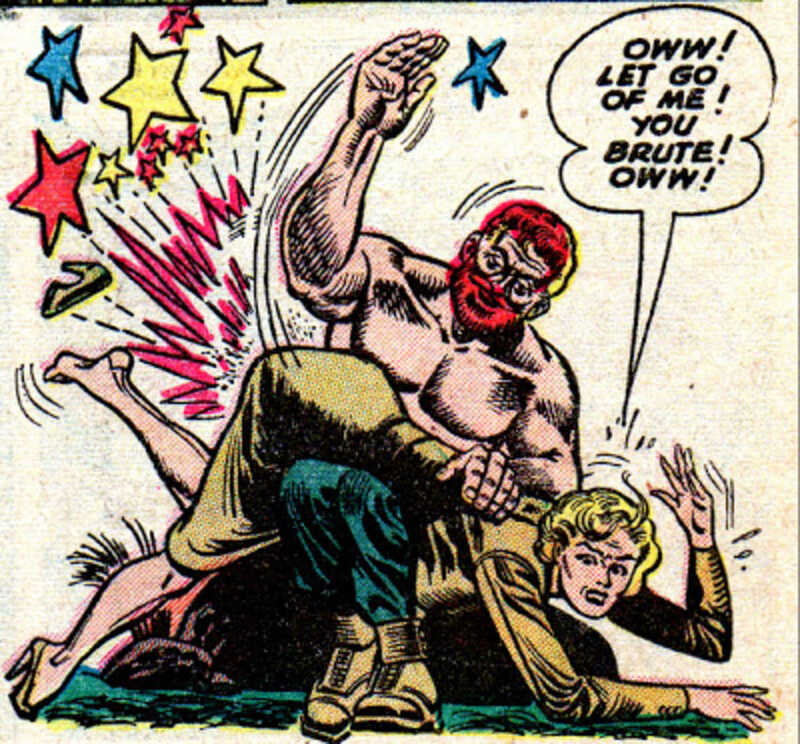 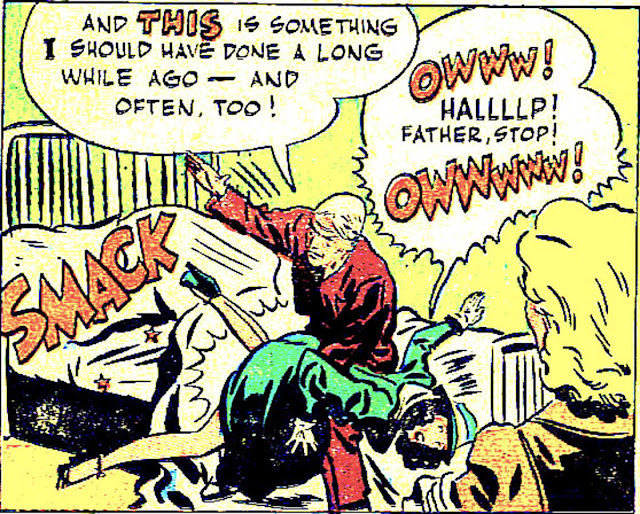 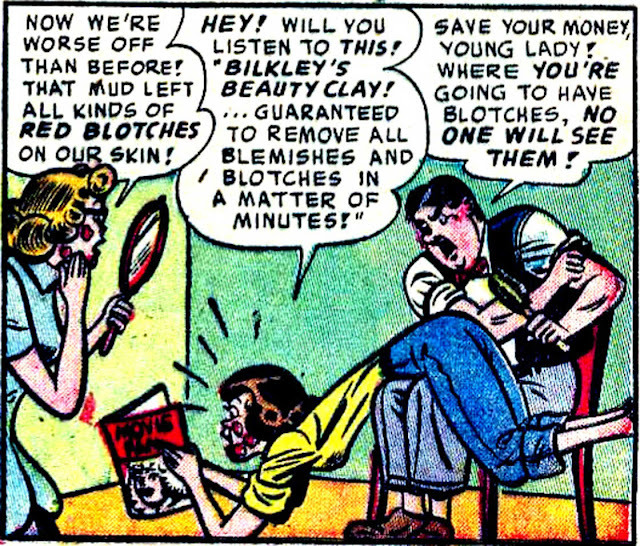 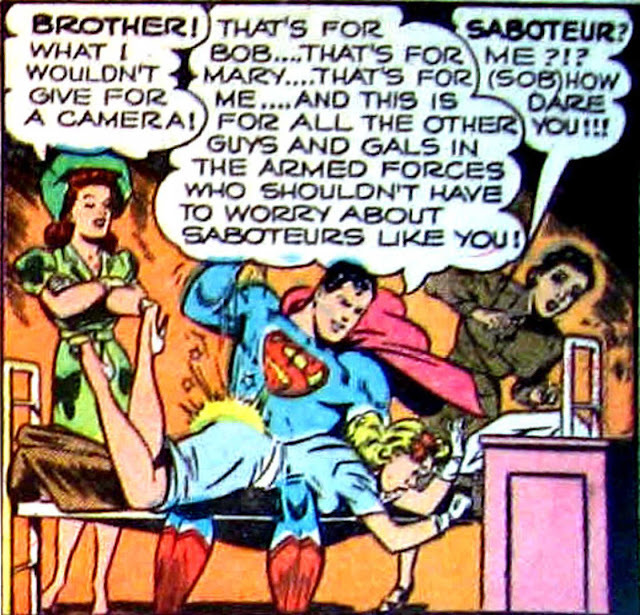 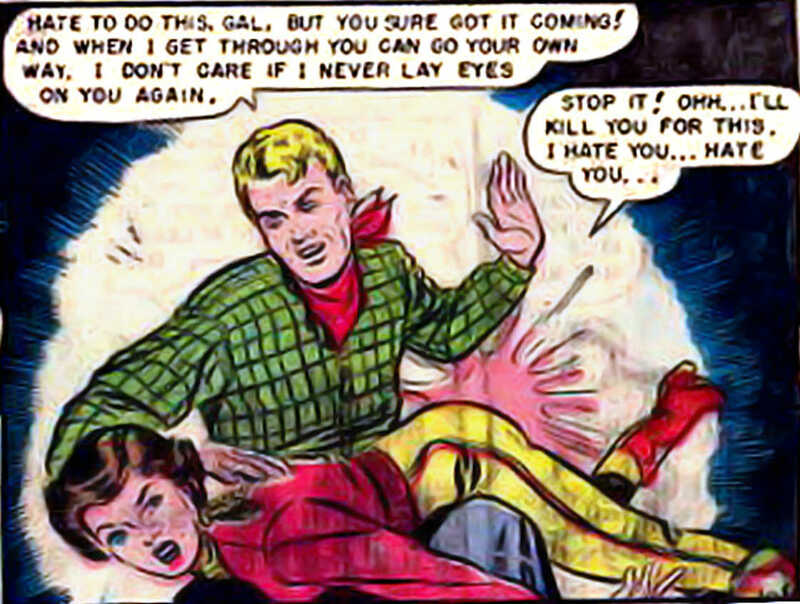 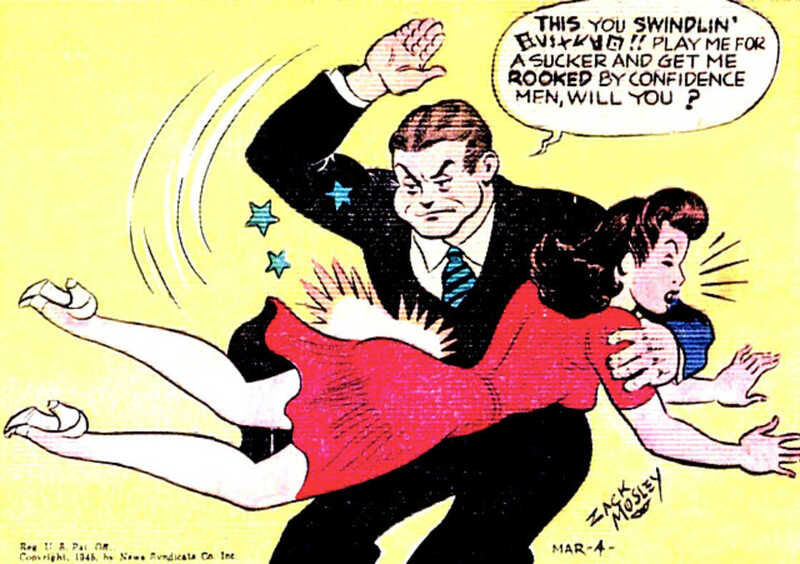 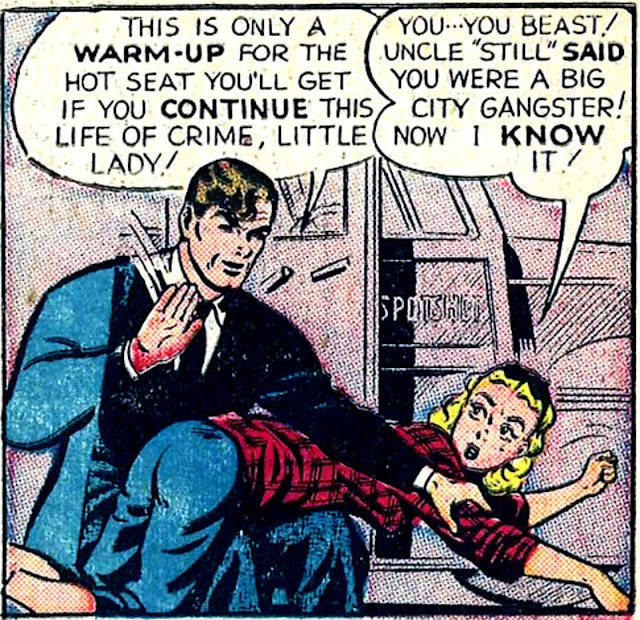 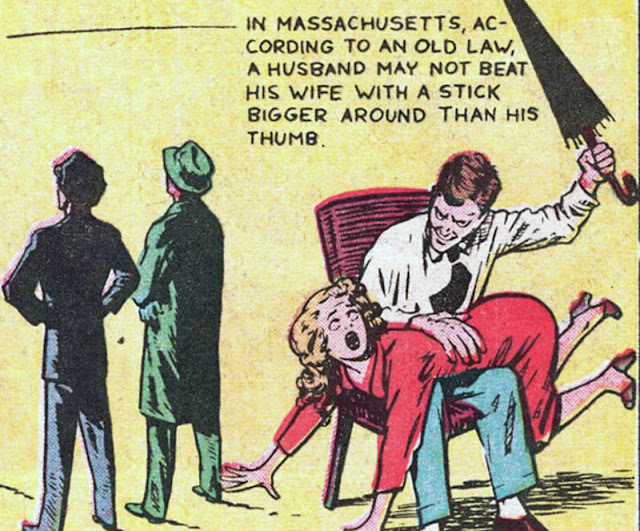 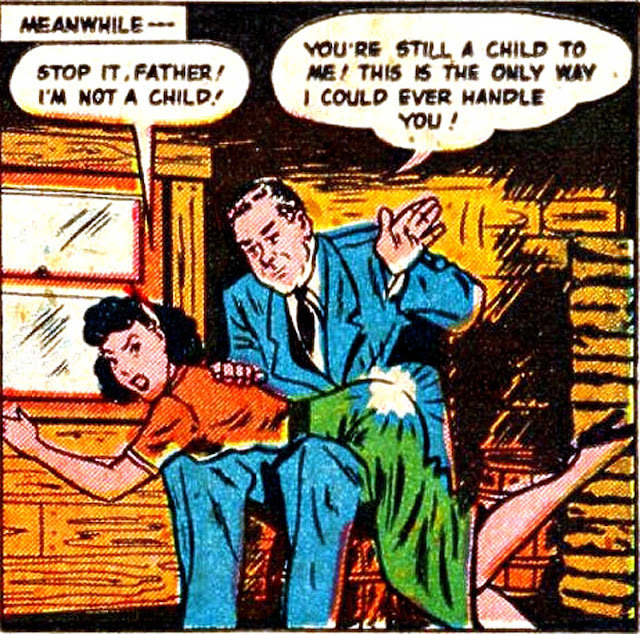 When super-heroes were spanking women in vintage comics, a vision as disturbing as surreal, but yet very real! 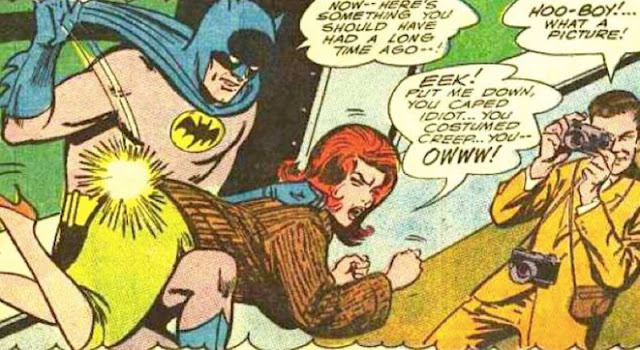 Although daily violence against women sometimes seems to belong to another age, unfortunately figures and facts about beaten women are still part of the daily landscape, and until not so long ago, even super-heroes were beating women. 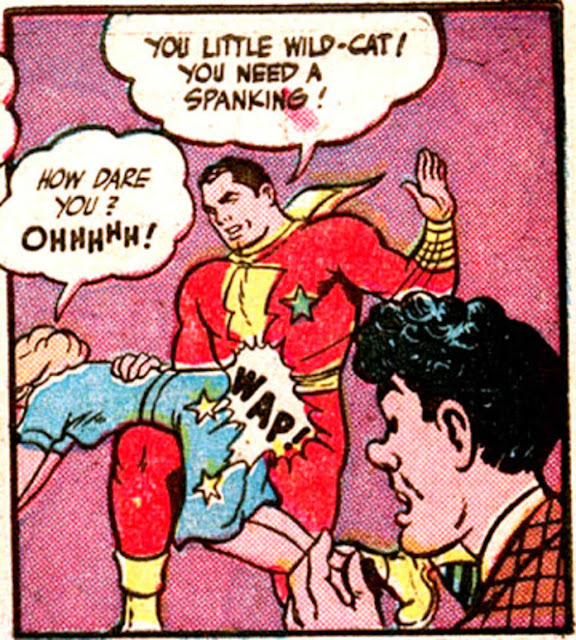 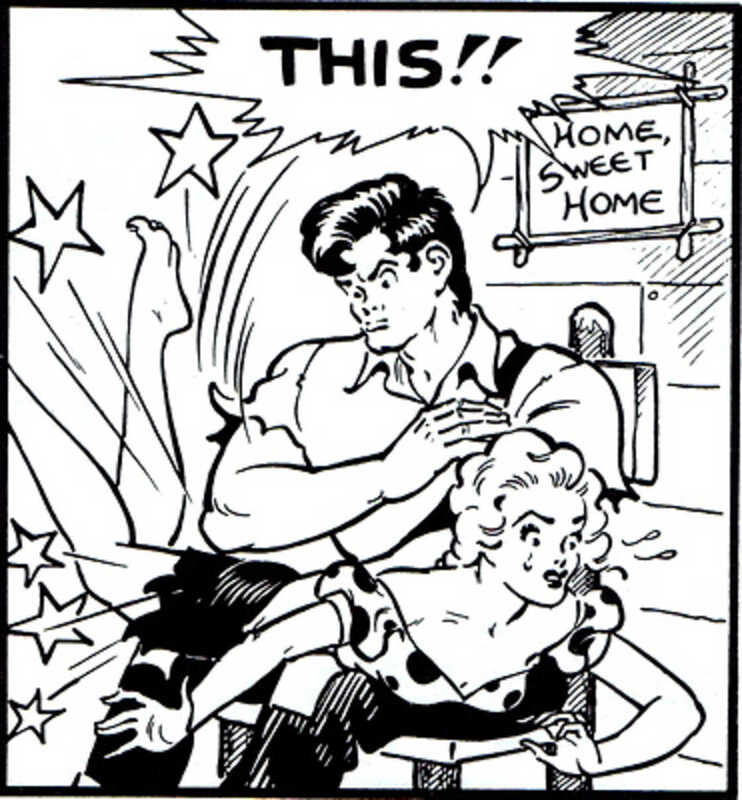 Gathered by the website Flashbak, here is an incredible collection of examples of superheroes more or less famous, spanking a woman to put her back in her place. 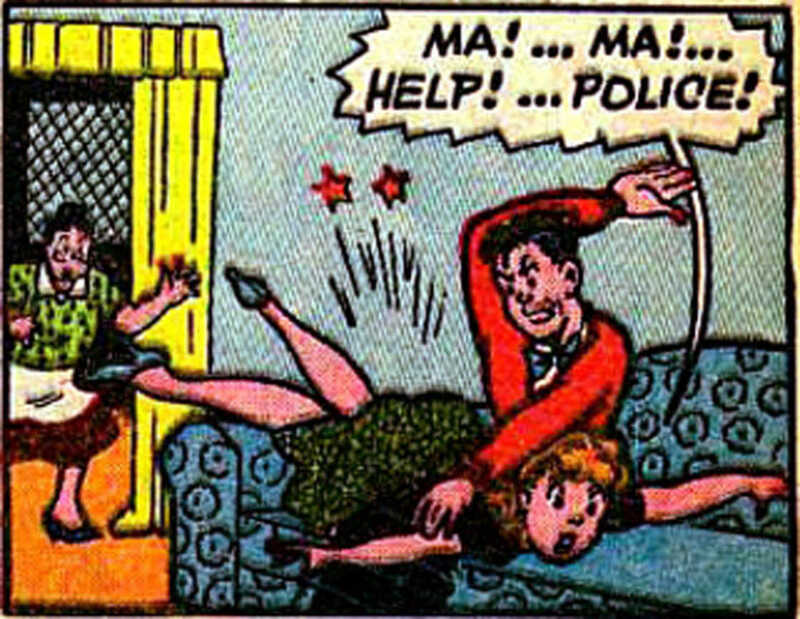 Some comics from the 40s, 50s and 60s, including the popular Batman, Fantastic 4, Captain Marvel, Daredevil, or even Superman!